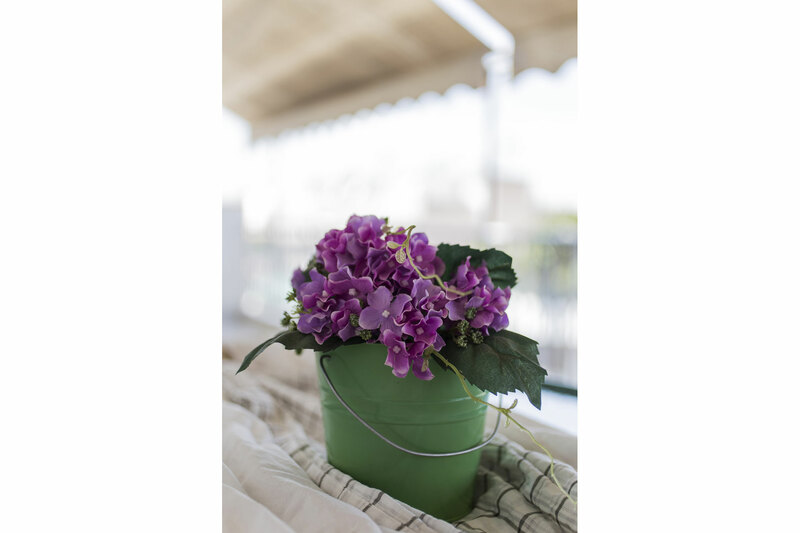 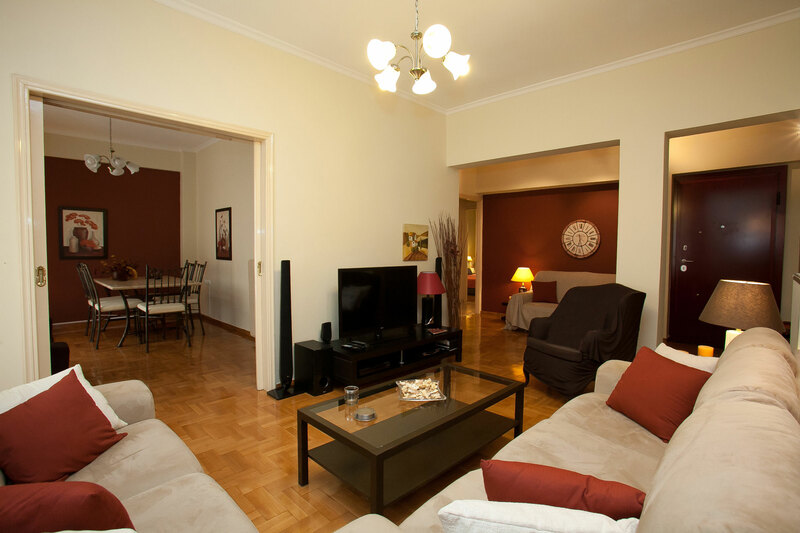 Fully renovated floor-to-ceiling (July 2014), the unit has 2 large bedrooms, living room (can be used as a 3rd bedroom), large separate kitchen, great front balcony. 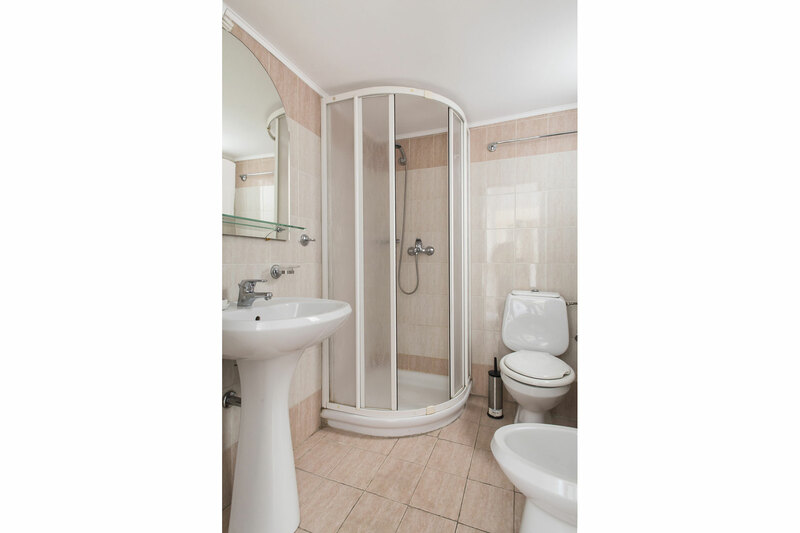 Metro stop – bus stops (35 lines) – Supermarkets – Pharmacy – Restaurants – Banks – food take away – full market, only a few steps from the door (50m). 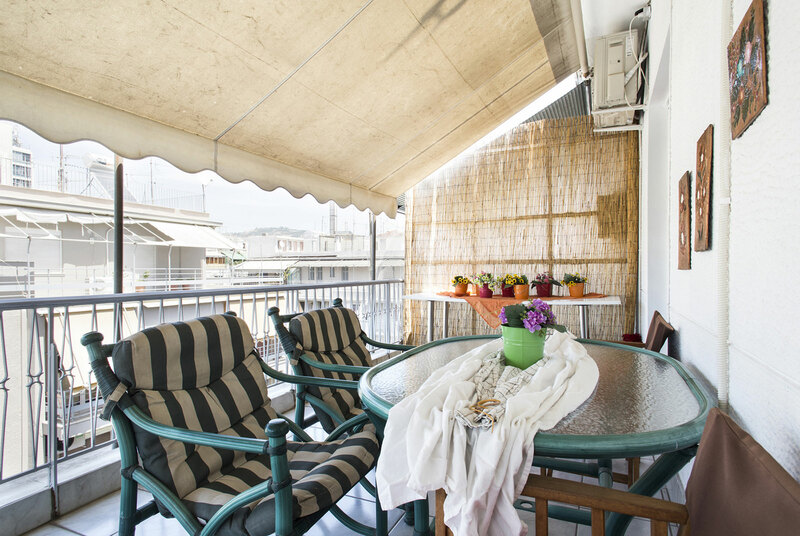 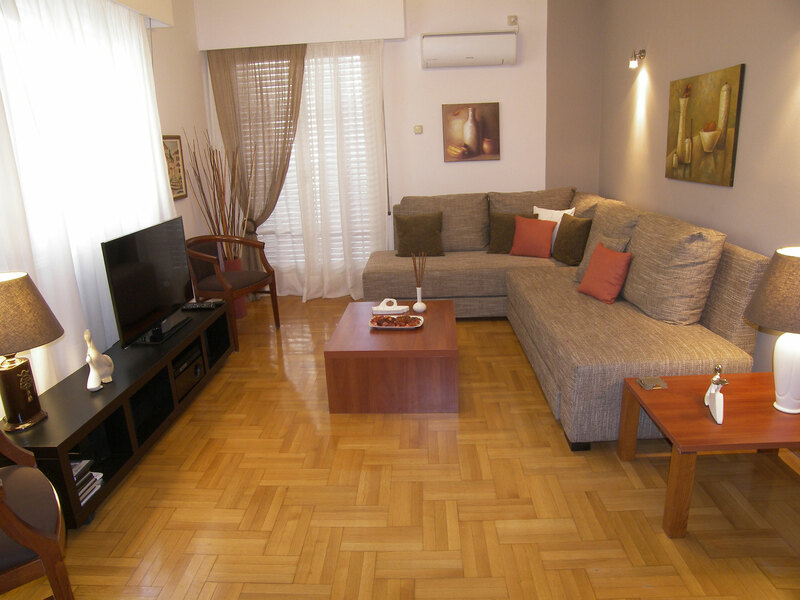 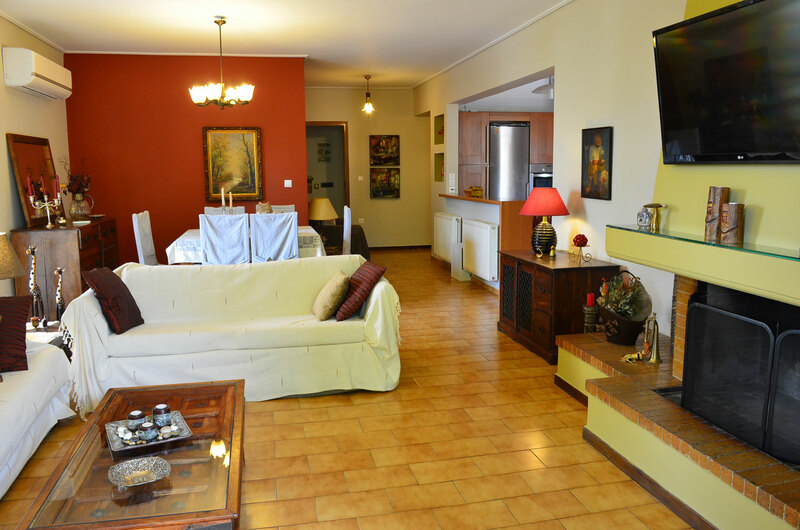 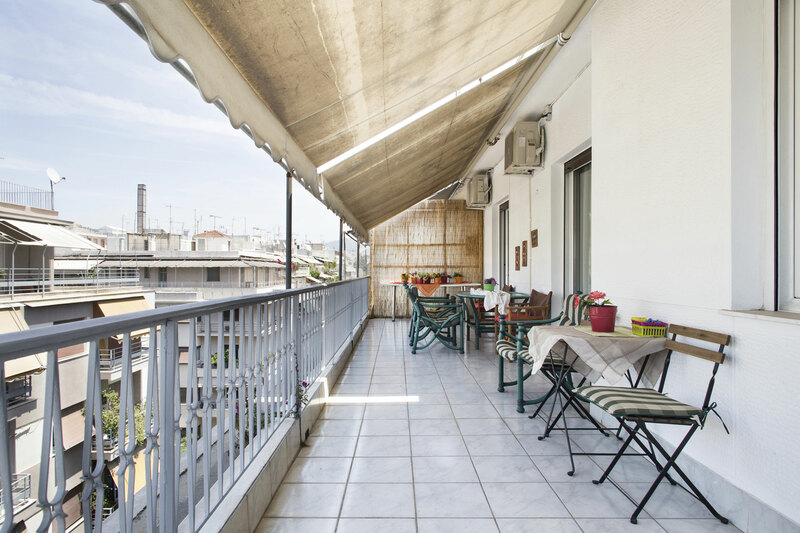 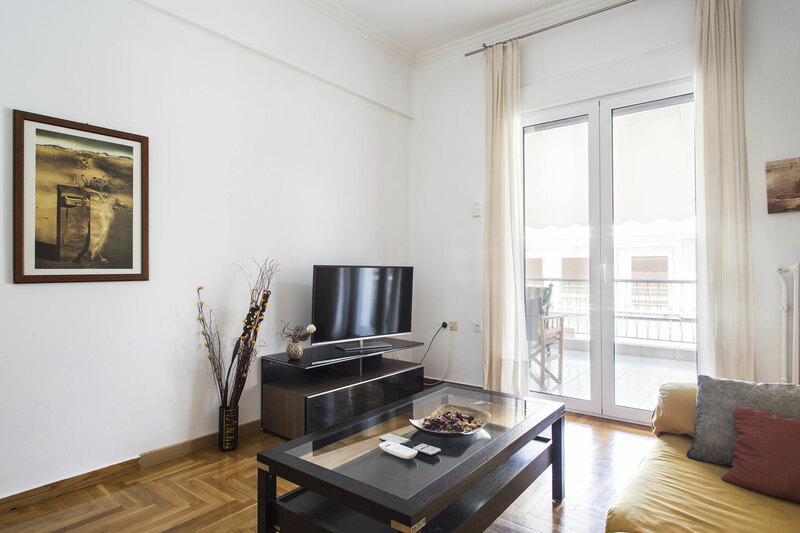 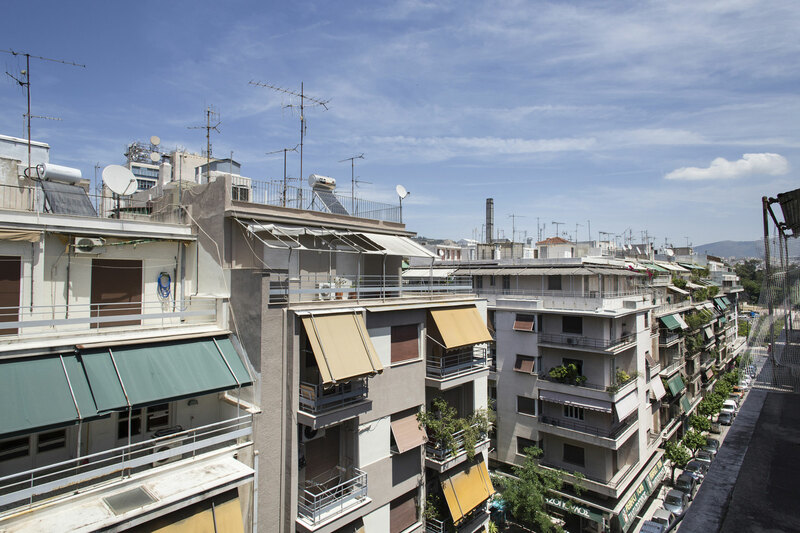 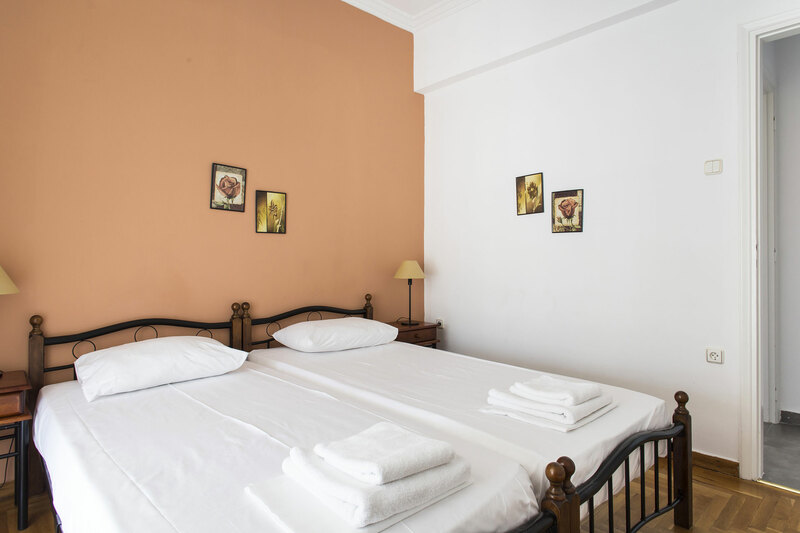 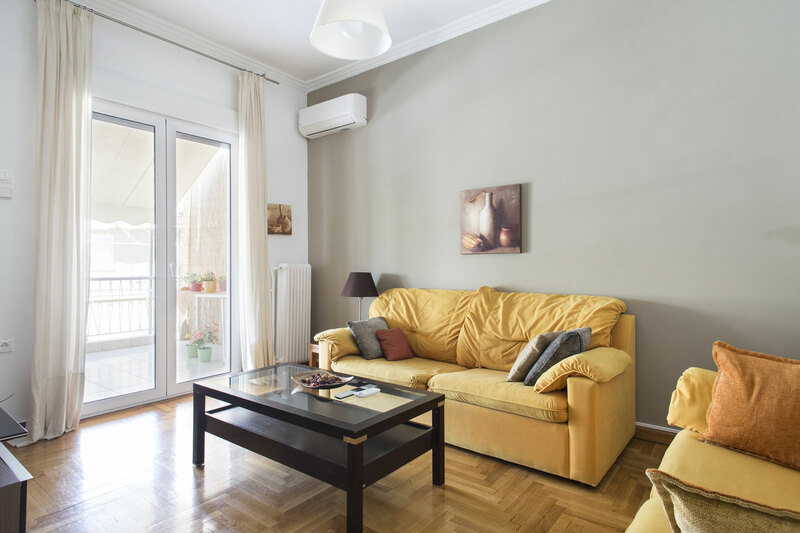 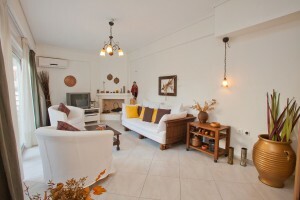 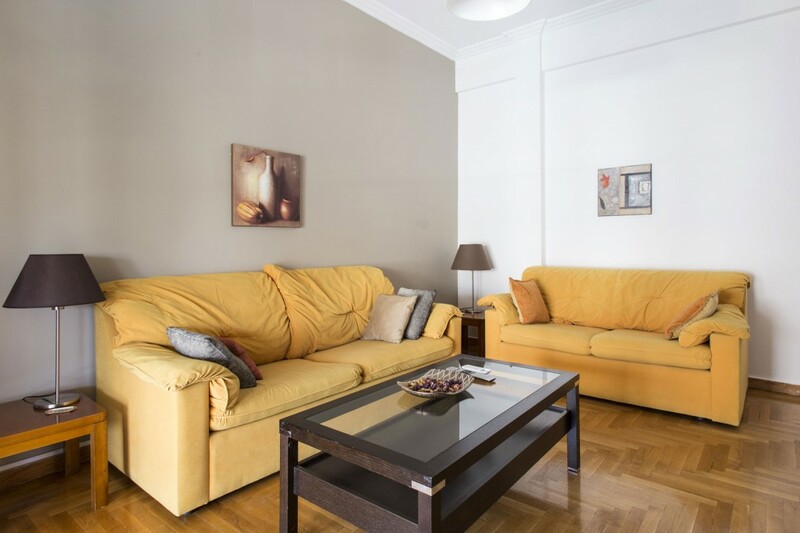 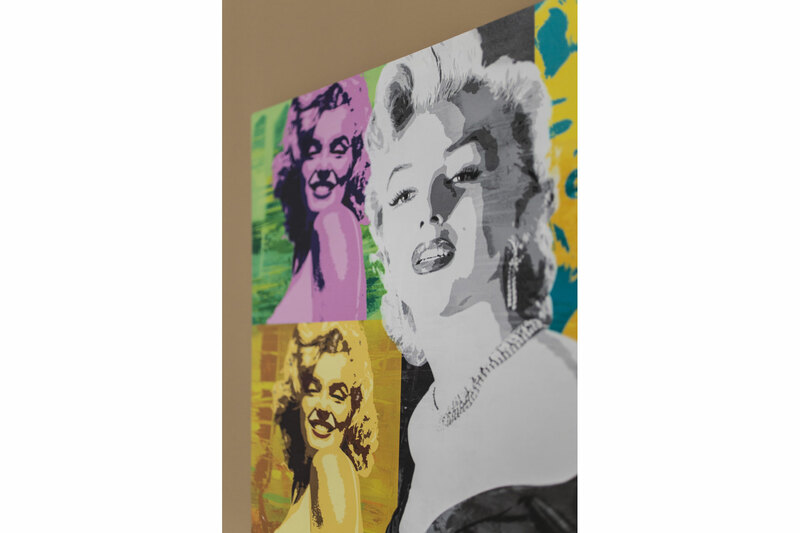 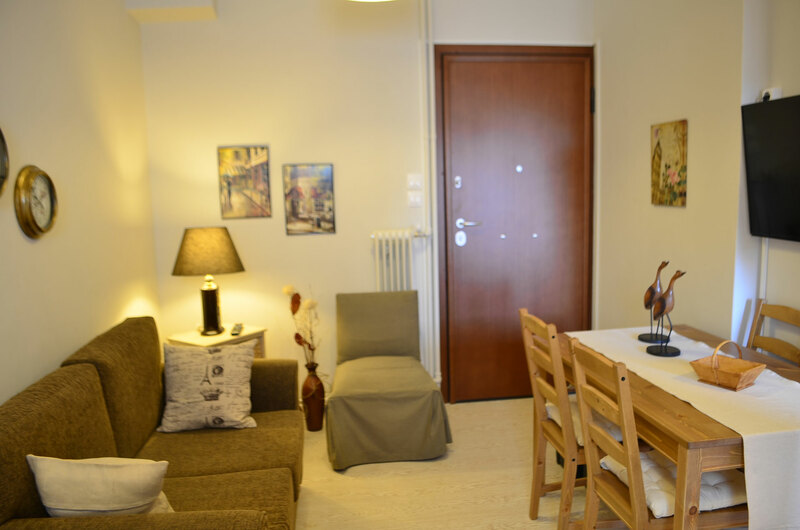 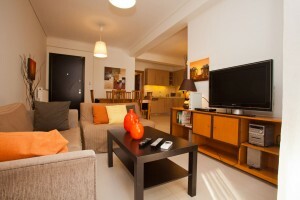 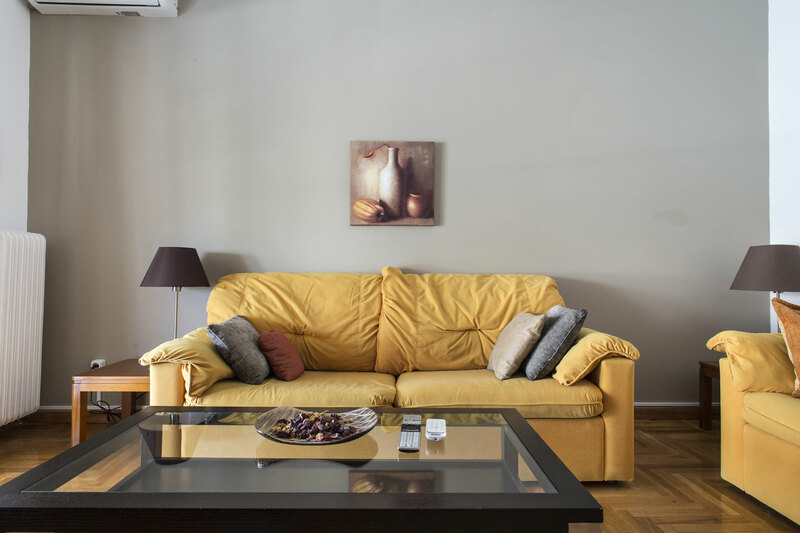 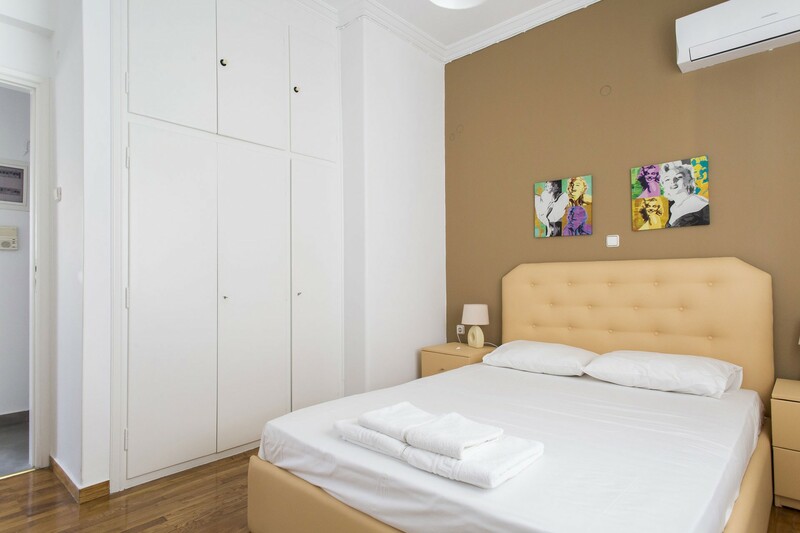 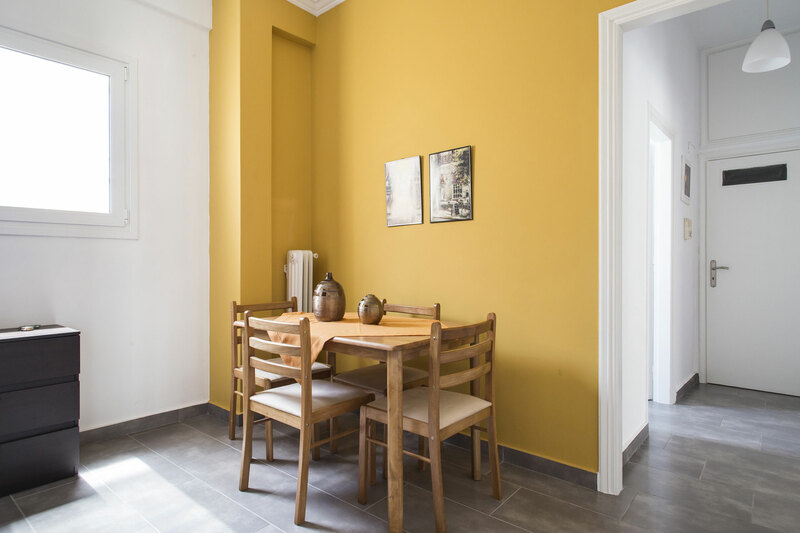 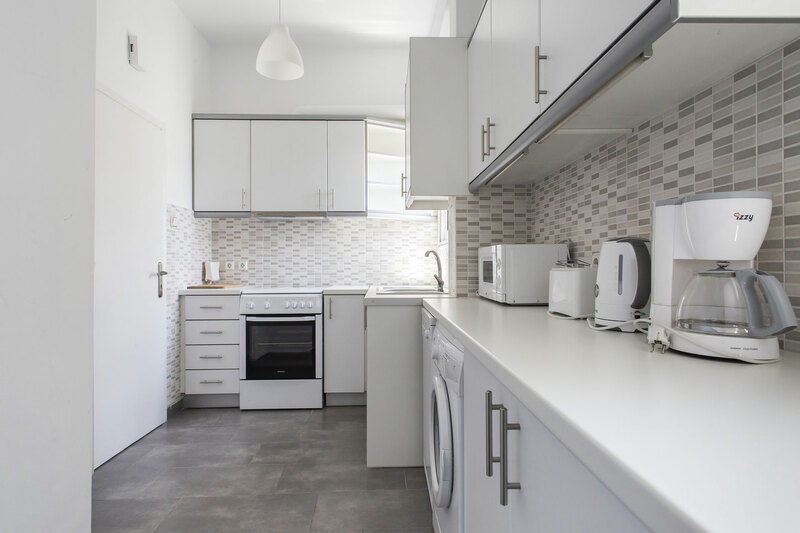 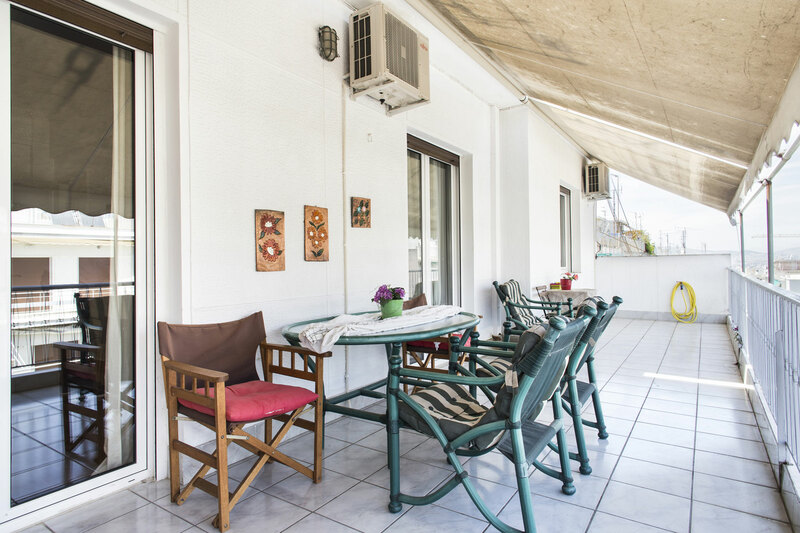 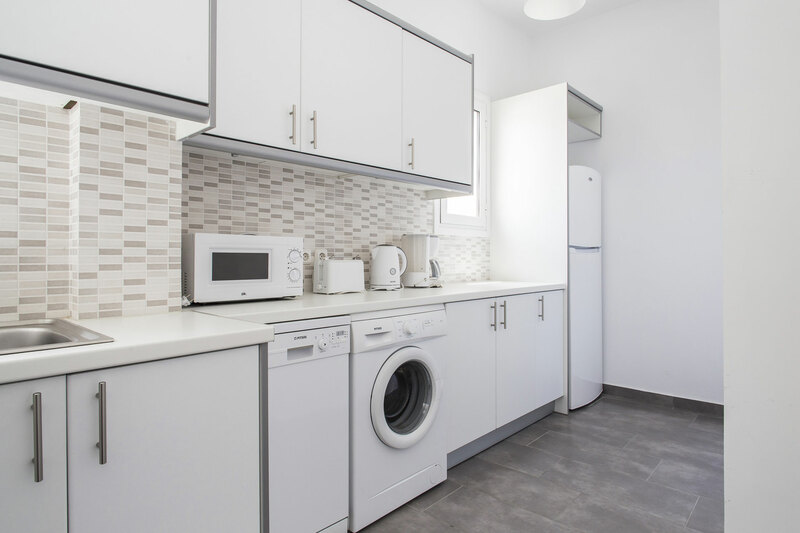 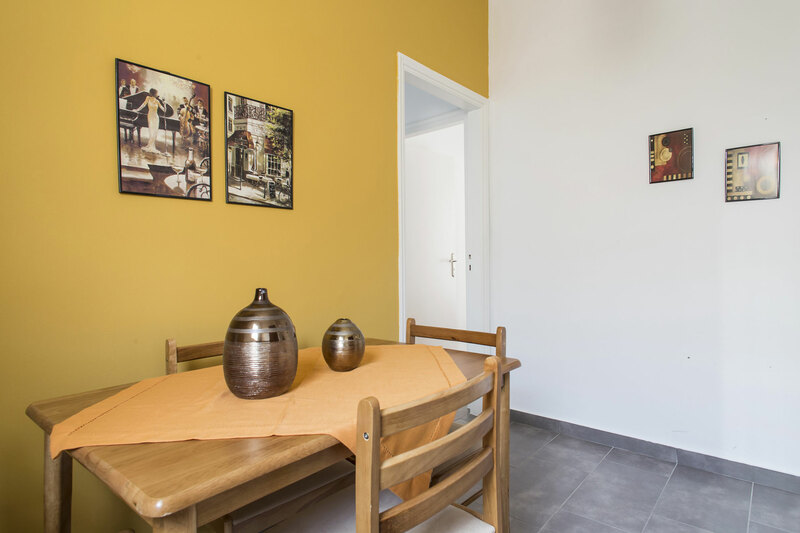 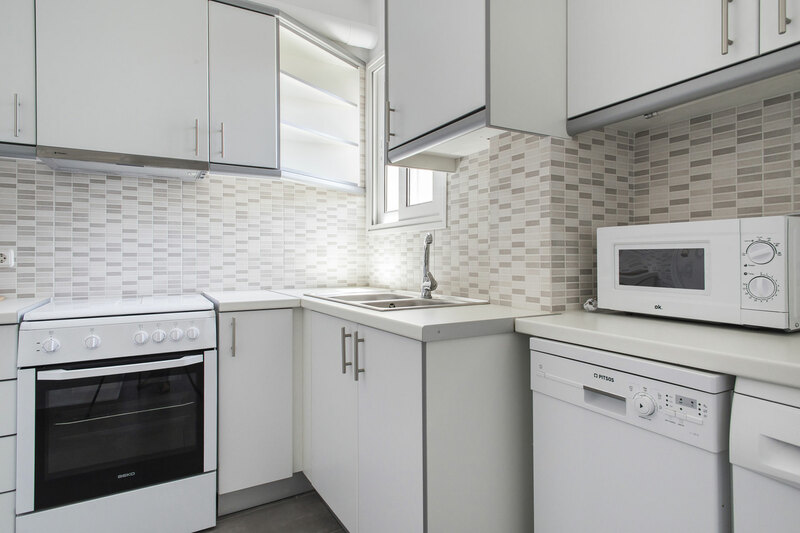 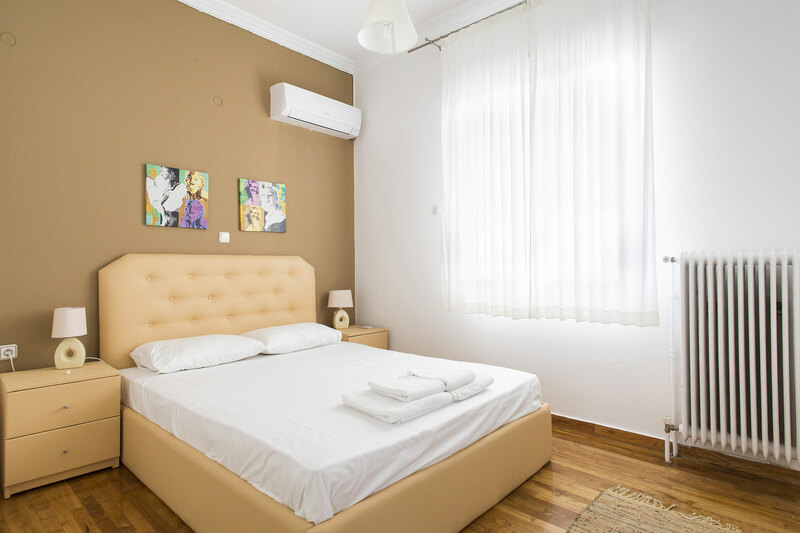 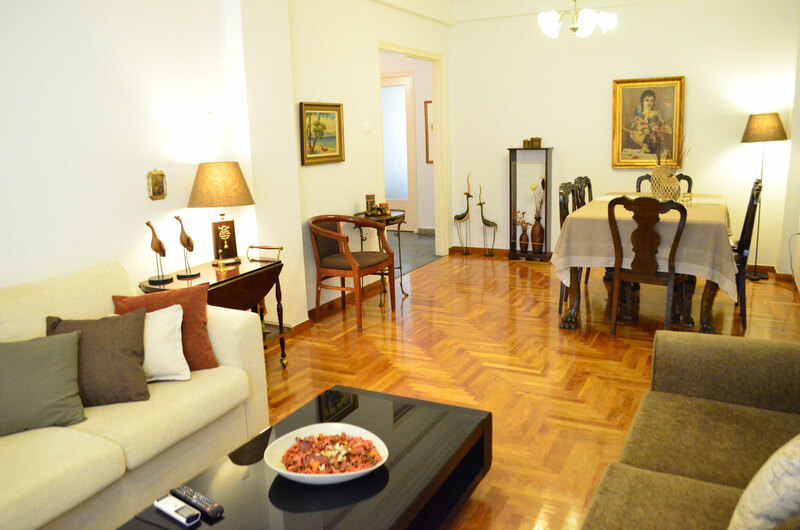 The apartment is equipped with all necessary for long term rentals, including central heating, A/C in every room, 42” LED TV, high speed WiFi Internet and brand new electric devices. 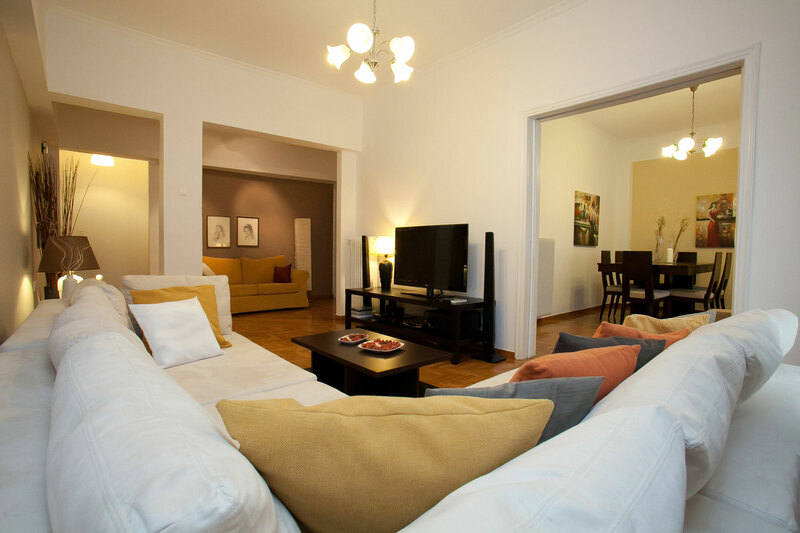 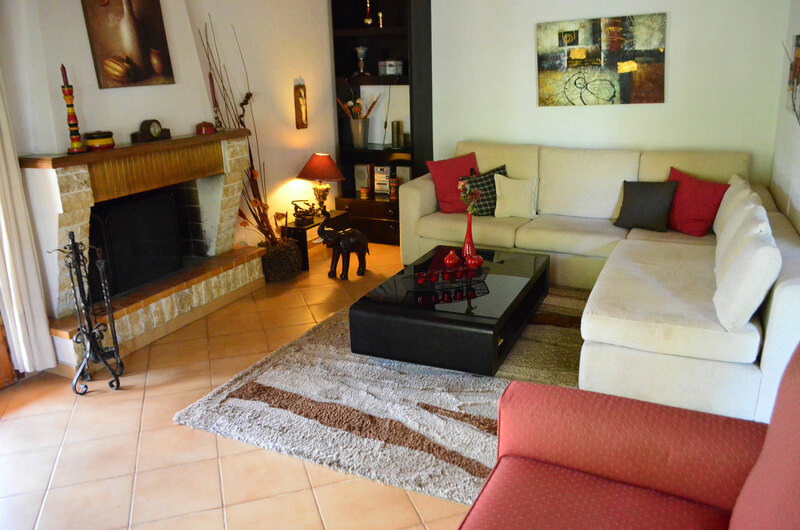 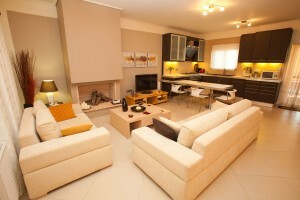 Living room (or 3rd bedroom): 1 king size double sofa bed – 160×200 – sleep 2 persons.